While most of the Columbia River is closed to salmon fishing the Hanford Reach is still open and producing decent numbers of Chinook. In a normal year we have at least a two fish limit, but this year with low numbers of salmon returning we only have a one-fish limit. So far, we’ve had limits almost every day. A few days ago we had two boats out, each boat had five anglers and we were only one fish shy of a limit. The state closed the river from Pasco to the mouth and Hanford Reach (where we fish) is above Pasco. People hear the Columbia River is closed and think Hanford Reach is closed, too. As usual, the media is only giving you half the story. The say the Columbia is closed, but yet Hanford is still open. Go figure. The truth is there’s well over 100 miles of the river still open and it’s suppose to close on October 15. Fishing pressure is less this year, but surprisingly there’s still a fair amount of anglers out there. Numbers wise, it’s one of the worst salmon years ever, but we are still catching fish. While the media has portrayed the Columbia River like there’s no salmon at all it’s not that bad. We’ve learned not to listen to anything the media says. At the end of the day anglers are happy on our boats after a day of fishing because they are catching salmon and watching their friends catch them, too. The size of the fish is about the same as we are used to. These salmon are your normal 16-18 pound average and we are catching them daily. They are healthy fish. They aren’t skinny. They are fat. We fish this section of the river with three baits: plugs, eggs and herring. The cool part about the Hanford Reach is it’s a free flowing river. We have 40 miles of real river. It’s not backed up by a dam. Because of that we have traveling lanes and deep holding areas. 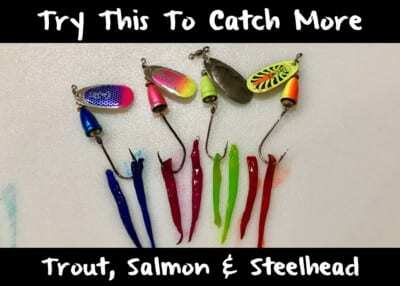 You can use multiple techniques to accomplish what you need to accomplish, which is catch salmon. 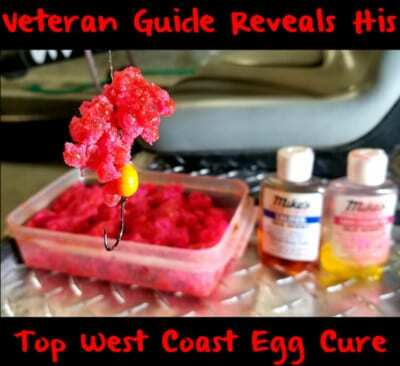 Early in the morning I run Super Baits and pack them with Fire Power (krill power) scented tuna. Then we switch to Kwik Fish wrapped with Fire Brine scented sardines. 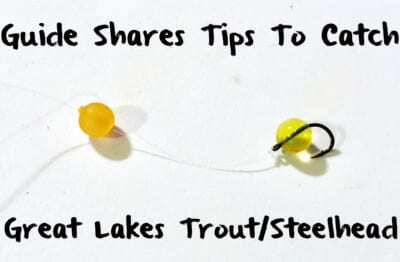 When the sun hits the water we troll a combo of those Kwik Fish and Red Fire Cure roe. 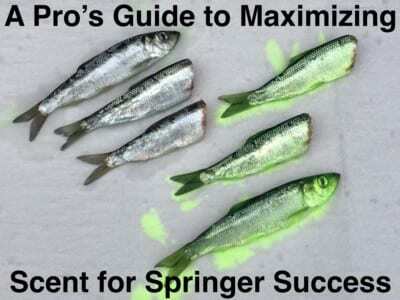 Meanwhile, when the sun is high in the middle of the day I troll Natural and Chartreuse Fire Brine herring. The Hanford doesn’t only yield a first light bite. Bites tend to come from 6 to 10 am and then the middle of the day is slow. However, we usually get an afternoon bite from 3 to 4. I’m not normally on the water late in the day, but anglers catch salmon then, too. Editor’s Note: Toby Wyatt operates Reel Time Fishing. 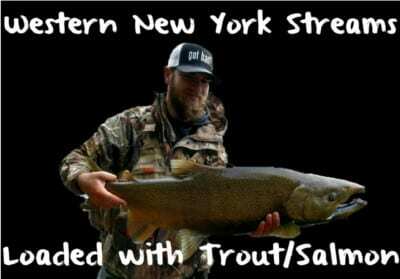 To learn more about his guided Columbia River salmon trips please visit www.reeltimefishing.com.